The 2 types of human viruses that cause cancer are those that attack the DNA and the RNA. Both types can delete and add genes and genetic materials into your cells and can turn your healthy cells into abnormal ones and later, cancerous. Hepa C is one of the hepatitis viruses that cause cancer. It causes inflammation in your liver. The inflammation induces chronic viral infection. The infection starts liver cirrhosis in 1.4% of hepatitis C carriers per year. Liver cirrhosis is also one of the negative effects of alcohol. It often leads to tumor growth in the liver. If you have both liver cirrhosis and viral hepatitis, you have the highest risk for liver cancer. Worldwide, it is one of the most common types of tumor. It is also the deadliest. In the United States, infection with Hepatitis C is the leading cause of patients requiring liver transplant. Among the different Hepatitis viruses, Hepatitis B (HBV) is not an RNA virus; instead it is one of the DNA cancer causing viruses. Hepatitis C (HCV) is milder compared to HBV because it doesn't change itself into a copy of the DNA of your cells. But like the Hepa B, HCV damages liver cells and causes continuous growth of the damaged cells. How is the Hepatitis C virus transmitted? You can get it if you come into contact with contaminated blood. In fact, 50% of HCV infection cases are due to blood transfusion. A vaccine for HCV is currently being researched. Also, an increased risk for Non Hodgkins lymphoma (NHL) among people infected with Hepatitis C is evident although the reason why is not yet understood. This is one of the RNA viruses that cause cancer. It can be transmitted through. . .
from mother to infant through cells in breast milk. The infection is harmless most of the time. However, about 1 in 20 infected individuals eventually develop adult cutaneous t-cell leukemia. There are people with T cell leukemia who haven't had the Human T-Cell RNA type of virus. However, infection with the virus may increase the risk of getting it. Leukemia can also start among people who are exposed to cancer causing agents such as benzene. Helicobacter Pylori is actually NOT one of the RNA viruses. H-pylori is a kind of bacteria which is able to survive and grow in your stomach and can lead to tumors. Chronic infection with H-pylori causes an inflammation in your stomach. It may lead to gastric or duodenal ulcers. If you have chronic H-pylori infection, you have a 4-6 times increased risk for the most common form of stomach tumor and that is gastric adenocarcinoma. The H-pylori bacterium doesn't grow inside your cells like the different viruses do. What H-pylori does is it induces inflammation of the stomach. When there is a swelling, the cells that are infected release chemicals known as "cytokines". Over-production of cytokines can harm the cells in your stomach by increasing the chances of cancerous change in stomach cells. H. pylori infection is one of the indigestion causes. Studies show olive oil's polyphenols can protect you from H-pylori infection. Health benefits of olive oil include the destruction of H-pyloria bacteria, which is becoming stronger against antibiotics. Also, a healthy immune system is your body's first and natural defense against those viruses and bacteria. You have to be certain your immune cells are well-prepared. 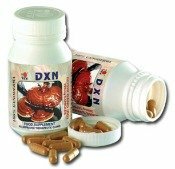 A certain type of mushroom known as Ganoderma or Reishi is a good source of nourishment for them. Data from many researches done on infectious viruses seem to indicate that RNA and DNA viruses are the second most important risk factor for tumor growth, next to the effects of tobacco smoking. However, there are steps on prevention against these RNA viruses that cause cancer.